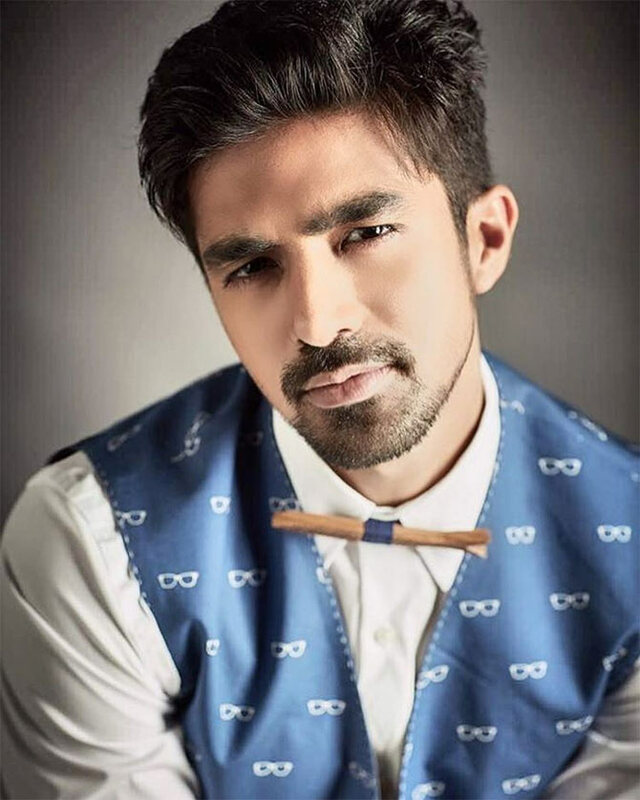 Actor Saqib Saleem -- who will be seen in Dobaara, an adaptation of Hollywood's Oculus -- speaks with Rajul Hegde about horror films, his plans to turn producer and open a restaurant, and, of course, his fabulous sister Huma Qureshi, with whom he worked for the first time in a film. My character is sent to a juvenile home where I spend 12 years. I am a loner. I went to Delhi for some time to attend workshops to get into the skin of the character. I visited juvenile homes in the city to bring authenticity to my performance. Then, I spent some time all alone in a room. I locked myself in a room with no access to the outside world, absolutely no communication, no phone, no television. It was so very difficult. How different is Dobaara from other horror films made in India? I would like to believe that Dobaara is a clutter-breaking and pathbreaking horror film. When you see our film you will realise we have not gone the cliched way. There are no priests or godly intervention to stop the ghost; it is a situation between two people where the fight is between humanity and evil. Horror as a genre has not been tapped in India so there is no recall value. Back in the day there was Ramgopal Verma's Raat; it took 10 years for me to watch the entire film. I remember watching it as a kid when I was 7. I finished it 5, 7 years ago. I think there is an audience for that kind of film. There is a scene where the door opens and nothing happens for a moment, but the cat comes down the steps. As a kid, the minute I watched that scene I would switch off the VCR and remove the main plug, thinking that cat would come out of the TV. Your sister Huma says she couldn't disconnect herself from being an actor and a sister on the set. I had to consciously stay away from the fact that we are siblings or else it would have been difficult. Once we moved past that, it was a lot of fun. We share an awkward sibling relationship in the film, totally different from how we are in real life. In the film, our characters detest each other even though there is a lot of love between the two. While in my character, my silence talks about my angst, I don't verbalise emotions, but post pack up I was a different person. Working together made us understand each other as actors more. We got to know each other's process of working. For that, I think this film was a great exercise. We had great fun shooting. 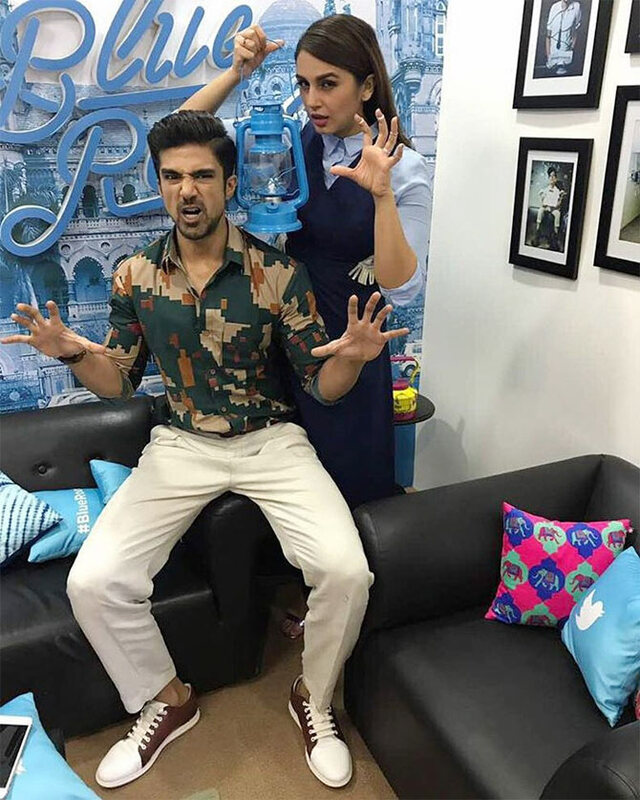 How was it to work with an acclaimed actor like Adil Husain and Lisa Ray? I love Adil for the kind of person he is and the actor he is. It's unfortunate he and I shared very few scenes together because he is part of my past. There is a story, a parallel track running, when Huma's and my characters are talking about them. He plays our father. I am happy I didn't have to call Lisa Ray 'mom' in the film. She is very beautiful and a nice person. We were in London at the same time, but shooting separately. More than actors I got to know them better post pack up. We would chill and talk a lot. Adil is a great chef; he would cook fantastic mutton for us. I don't believe in it as it has not happened with me yet, but I have heard stories from my nana (maternal grandfather). I don't say that it does not happen, but it never happened with me. What did you think of Huma as an actor? I admire her work. To make her debut with Gangs Of Wasseypur is not a conventional debut. Huma has always done unconventional roles. The best quality about Huma is that she is a lively actor. She is spontaneous and can be seen playing with dialogues. Any plans to turn producer? I am seriously contemplating, but I think I need to do more films before I turn producer. Not because of anything else, but just because I want to understand films better. The idea is to have a production house for both of us (Huma and Saqib). I am reading short scripts, not necessarily for me, but to produce and see if I can pull it off. You were keen on expanding your dad's restaurant business. 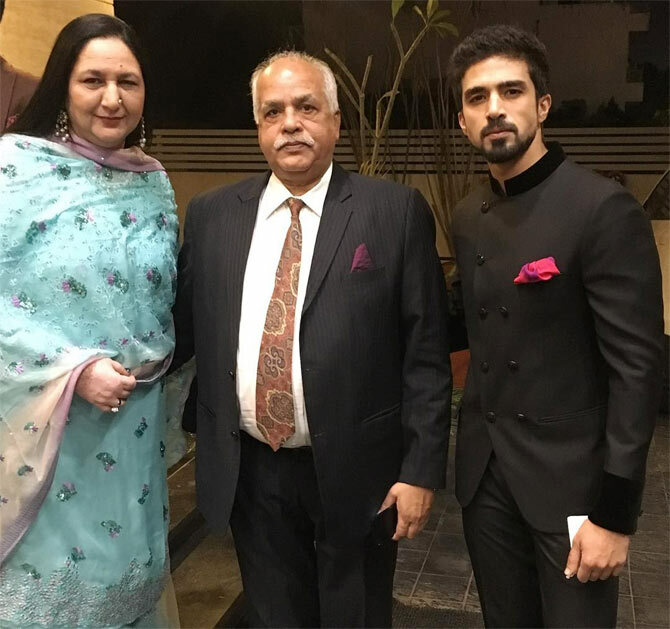 My dad has run a chain of restaurants in Delhi for 40 years. For a long time my dad and I have been discussing opening a restaurant in Mumbai. Now I have started to act upon it. I am very excited as it will involve dad and me working together. I am looking to spend time with my father. We have figured pretty much everything, but need to finalise the place. Would you have been a chef if not an actor? Let me take you on a flashback (smiles). I was a state-level cricket player, my family owns a chain of restaurants. My routine was cricket in the morning, then college, cricket in the evening. My dad assigned me a job in his restaurant as a kitchen supervisor. I had the job of taking care of the presentation of the cuisine, their taste, stuff like that. After a month, I had gained about 12 kilos just eating so much of my restaurant's food. So, I decided to quit my father's restaurant. How did you land up in Mumbai? I had a girlfriend in college, one year senior to me, who wanted to become an actress. She came to Mumbai to pursue her dreams. She wanted to break up with me over a phone call as the relationship was long distance. I was so much in love with her that I couldn't let it happen. When she asked me to come to Bombay I instantly agreed and came to Mumbai within a week. After 3 months, she broke up with me. When I was contemplating what to do, I did modelling, which I did back in Delhi too. I even got an offer from an agency in China to go to Milan for the fashion week. Two days before leaving for Milan, I got a film. Since it was a once in a lifetime offer I grabbed it instantly. Super-filmi week: Long live Aamir's Model School!